Turned around in the car and snapped this without even looking through the viewfinder shortly after informing Sammy he was going to the vet for some physical therapy. 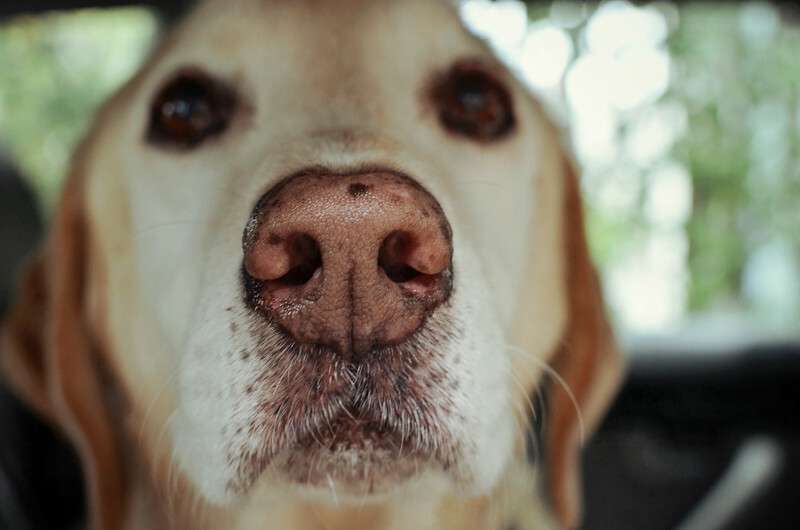 The camera focused on his nose, providing a nice selective focus image. Edited with Snapseed on my iPad -- I added the vintage filter and then used Lightroom to lighten the image back up. Click above to see larger on my SmugMug site.